Put some zing into your pre-event publicity! Order a stack of Retro Stripes Flyers, custom printed especially for your event. Laced with criss-crossing, diagonal stripes, this design has an appealing, straightforward approach to presenting your event. Personalize to your needs in minutes using the form below! 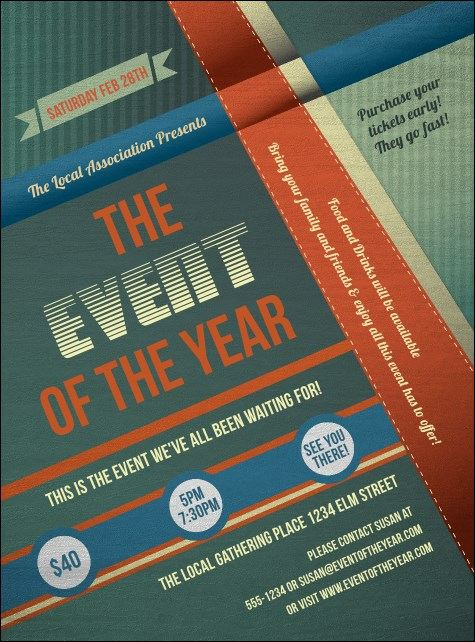 Approximate size is 8.49" by 11.46"
Find the right flyer design to promote your unique event at TicketPrinting.com!